After a zombie apocalypse ravages the world a cure is found for the afflicted as they attempt to rehabilitate themselves into society. Prince Charles Cinema, Thu 12 Oct, 6.15pm; Vue Leicester Square, Sat 14 Oct, 6.15pm. Offbeat biopic about the school years of notorious serial killer Jeffrey Dahmer, based on John Backderf's graphic novel. Prince Charles Cinema, Sat 7 Oct, 6.20pm; Hackney Picturehouse, Sun 8 Oct, 6.10pm. Indebted to the folk horror of the 60s and 70s and recent indie hit The Witch, Hagazussa is an examination of witchcraft and insanity set in 15th century Austria. Curzon Soho Cinema, Sun 8 Oct, 8.45pm; BFI Southbank, Mon 9 Oct, 8.45pm. An unconventional love story between a mute woman and a strange aquatic creature. 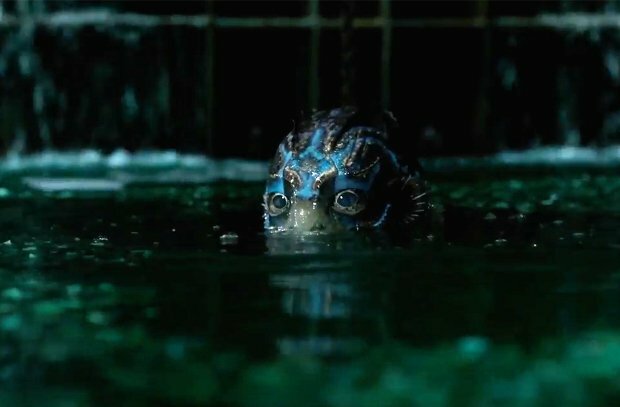 The latest film from Guillermo del Toro is a unique take on the Creature From the Black Lagoon. Odeon Leicester Square, Tue 10 Oct, 7.15pm & Wed 11 Oct, 11am; Hackney Picture, Fri 13 Oct, 8.40pm (subtitled). SGS is all about perception, taking a real life Mafia kidnapping and retelling it as a supernatural fantasy. Haymarket Cinema, Thu 12 Oct, 8.40pm; BFI Southbank, Fri 13 Oct, 12.30pm. Dario Argento's masterpiece of sound, colour and gore is a vivid tale of witches lurking in a remote ballet school. A chance to see this glorious 1977 classic on the big screen. Picturehouse Central, Fri 6 Oct, 9pm; Curzon Soho Cinema, Sat 14 Oct, 9pm. A sneak peak at Netflix's new series about a specialised FBI unit hunting serial killers. The opening episodes are directed by David Fincher who proved he had an eye for psychotic madmen in Seven. BFI Southbank, Tue 10 Oct, 6.15pm. The iconic shower scene in Alfred Hitchcock's Psycho is deconstructed over 91 minutes. Includes contributions from Guillermo del Toro, Bret Easton Ellis, Eli Roth and Jamie Lee Curtis. Vue Leicester Square, Fri 13 Oct, 8.45pm; Picturehouse Central, Sun 15 Oct, 12.30pm. The hit London play gets a big screen adaptation in this anthology horror featuring three spooky takes from Andy Nyman and Jeremy Dyson. Vue Leicester Square, Thu 5 Oct, 6pm; Haymarket Cinema, Fri 6 Oct, 3.30pm; Hackney Picturehouse, Sat 14 Oct, 8.45pm. A séance goes horribly wrong unleashing supernatural horrors in this Spanish ghost story from the director of [Rec]. Vue Leicester Square, Thu 12 Oct, 9.30pm; Prince Charles Cinema, Sat 14 Oct, 3.15pm. Tickets on sale Fri 14 Sep, 10am.